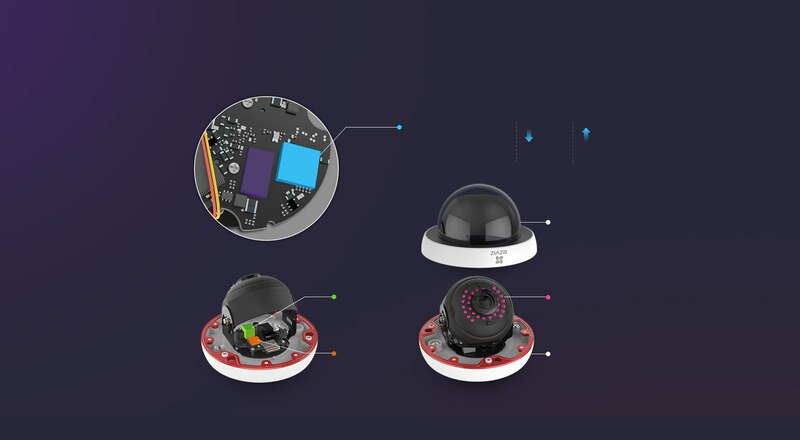 The C4S (Husky Dome) features a vandal-proof dome cover and IP66-rated water and dust resistance to protect against all forms of weather and vandalism. With its vandal-proof dome cover, the Husky Dome is strong and durable. Sensor that processes video while keeping track of how many people walk by, all whileusing less energy. The C4S (Husky Dome) supports a wired connection as well as a Wi-Fi option, freeing you from the hassle of dealing with cables. The C4S (Husky Dome) takes pictures and records real-time video in 1080p HD. The C4S (Husky Dome) delivers clear-as-day night vision up to 30 meters. 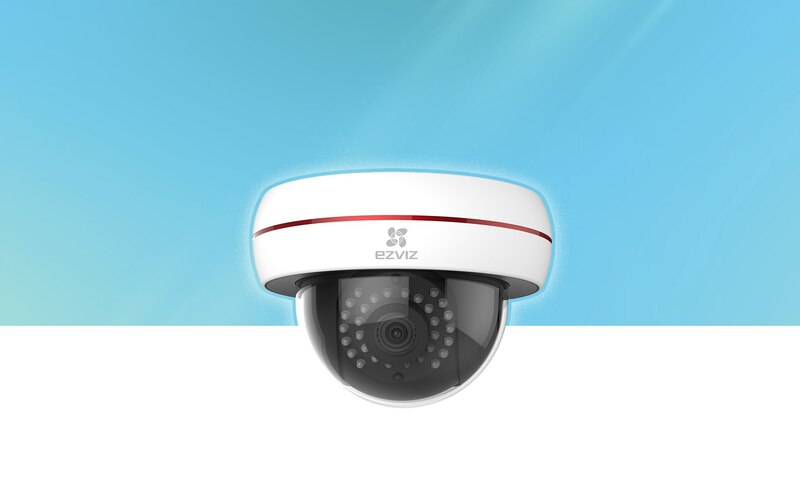 Night vision sensors automatically kick on when it gets dark for continuoussecurity coverage. 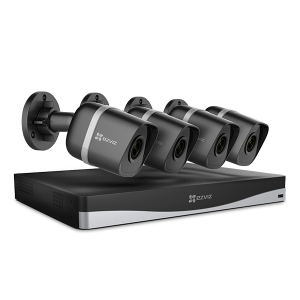 With multiple storage options, you can choose where to save your recordings.The cameras can even save to all three locations at the same time for added backup in case a camera is damaged or your network crashes. 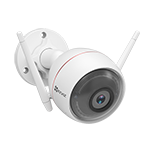 Husky Dome 1080p Outdoor Dome Wi-Fi Camera with PoE is rated 3.4 out of 5 by 9. Rated 3 out of 5 by Rhinestone from Sensitive to Wi Fi strength I really like the clarity of the camera and it gives a really wide angel shot of my front yard. To be able to record movement is awesome. On the other hand this camera is sensitive to Wi Fi strength. I had to buy two repeaters to get my Wi Fi signal to the camera to start but then the camera goes off line allot. To get it to reconnect means having to enter in the password and try to get near the camera to get it to reconnect. The camera will not reconnect if the Wi Fi signal is not excellent. Overall a great product when connected and working. Yes this can be hard wired like Ethernet but not practical in my house as the distance and number of rooms makes this impractical. 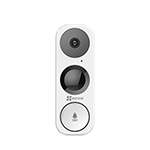 Rated 4 out of 5 by aaronv from Cameras are good, need better review replay option I have three camera, two outside, one inside and they have been reliable. I also purchased the 2BTB storage device. While it works as intended, I would like to be able to access the videos directly on the drive for playback, instead of going through the camera and wireless network. Since it's network attached storage, I should be able to access it directly for better performance. Additionally, it would be nice to have a summary view of the day, which fast forwards the video quickly to see all that happened in under 1 minute.. like the Ring does. Accessing the local storage would allow that. Rated 3 out of 5 by jr300 from Great camera - Mediocre software The camera itself is great. It looks and feels very well made. The pictures are bright and clear during daytime use. Night vision looks good too, although fast motion produces blurred video. Unfortunately, the software is not up to par and its a major problem for this camera. The motion detection is rudimentary and generates too many false positive alarms to be useful. With no ability to prevent certain regions of the video from being analyzed for motion, the one extreme corner of my video where cars occasionally pass by constantly triggers a motion alarm. So does the sun coming and going on a partly cloudy day. Or a bug that flies by the lens at night. All of them trigger constant alerts. This would be less frustrating if I could disable the alarms but still record the events for later review. Unfortunately, the camera won't capture events unless you have alarms enabled. So you either capture potentially relevant events and deal with the incessant alarms or turn off alarms and possibly miss something important. All of these deficiencies seem fixable with a software update, but in almost a year of use nothing has changed. Rated 3 out of 5 by dude from Camera is great! Software a C+ Works well, but the software could use another gear. and the support page is weak. Rated 4 out of 5 by Phillip from All Cameras Ability to set motion detection zones would be nice. 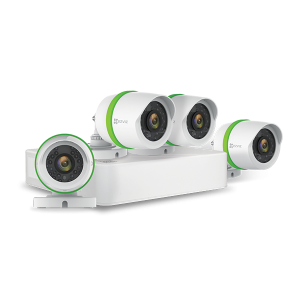 Rated 3 out of 5 by Pascal from Some issues to work on Camera stops responding when it receives to many commands in a short period of time. Cannot send videos to a NAS. Otherwise, works as expected. Rated 3 out of 5 by jixer08 from Great camera Mediocre software. Please hire a new gui designer. Also, please integrate with smart hub. Rated 4 out of 5 by Nicklenutz from Constant vigilance It's a great product for concerned home owners or any one who needs to be more aware. Which is everyone. If you work nights or are a way from home you can feel secure that activity around your home is monitored..helped me find out why my dog kept running of...he had a date..
Can I add infrared lights to supplement the built in light? If so what specs should I look for? I can get my Husky Camera to show on Alexa but on Google smart display...it says okay, shows a blank screen and then time out. Yes encryption is off. 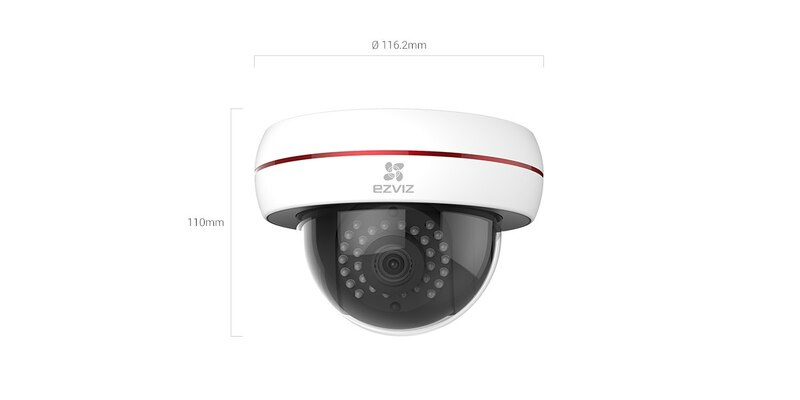 Can this camera connect to my non EZViz NVR? Is there a mains power extension cable ?? Can you live stream this particular camera to an TV equipped with an Amazon FireStick? I have been trying to get this to wotk, but have been unsuccessful. We&rsquo;re sorry things aren&rsquo;t going smoothly. Please check your network settings and ensure that you have sufficient bandwidth to support this device. 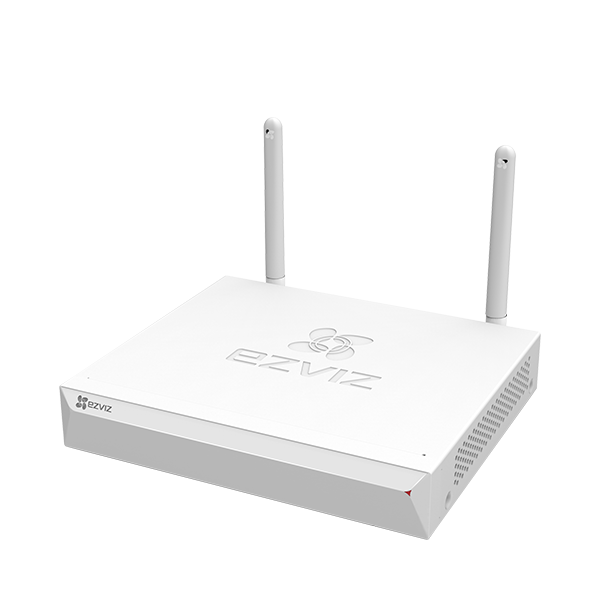 We recommend that you reserve 1Mbpu upload speed per EZVIZ device on your network. We also have a team of experts ready to help get everything back on track. 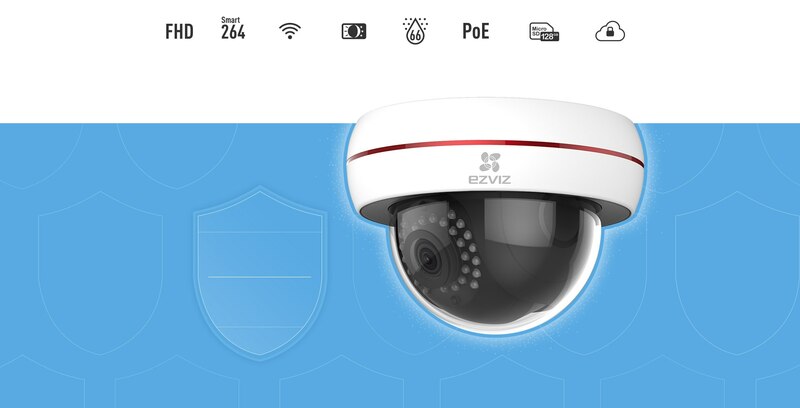 Give the EZVIZ Tech Team a call at 1.855.MYEZVIZ (693.9849) Mondays &ndash; Fridays 7am &ndash; 6pm Pacific Time or email us at service@ezvizlife.com. We love to help! How long is mains power cable ? ?